When online casinos first came along, Baccarat was a natural choice to make the transfer to the virtual felt. This high roller game was offered by many leading casinos. The dealer does all of the complex 3rd card drawing work –with players simply betting on the outcome. The virtual game is a popular one, but in some cases, players have a distrust of the randomness of the cards, and the sheer speed of the virtual game can make for big swings in a small matter of time. This –combined with better computing devices– has led to the development of live dealer casinos, offering a lifelike casino experience with a real dealer and cards, all streamed online to the player. You’ll bet in the same way you would when playing virtually, but the rest of the online Baccarat action is completely real. In most cases, the live baccarat games are hosted by attractive women, a strategy that works for the casinos, as the games grow year after year. Live Dealer Baccarat is generally supplied by one of the dedicated studios set up by the Live Dealer companies. Companies such as Evolution Gaming, PlayTech, MicroGaming, Visionary iGaming and Global Gaming Labs all have impressive studios set up to offer live Baccarat, as well as other games, including Roulette and Blackjack. These companies offer their services to online casinos, who will sign up as licensees. These casinos have a choice of using the standard tables or having dedicated tables with extra branding, and the ability to set their own betting limits. How Do You Play Live Dealer Baccarat? First two cards are dealt: Two hands will be dealt –one to the banker and one to the player. Unlike in other games, the “player” in Baccarat does not refer to you; it is simply there to distinguish it from the banker’s hand. Bets are placed: You’ll then bet on whether the banker’s hand will win, the player’s hand will win, or whether there will be a tie. Last two cards are dealt and the winner is determined: Two cards are dealt to the banker and the player, and the hand that finishes closest to 9 wins. Rule #1: Hands of value 8 or 9 are called “Naturals”, and you’ll not receive another card. Hands valued 7 or lower, get dealt a third card. Rule #2: If a hand has a total of over 10, the second digit will count as the value of the hand. For example, a score of 15 will become 5. This game has a low house edge compared to other casino games, as long as you avoid the tie bet. When playing Baccarat with a live dealer you’ll find various different formats of the game and side-bets too. 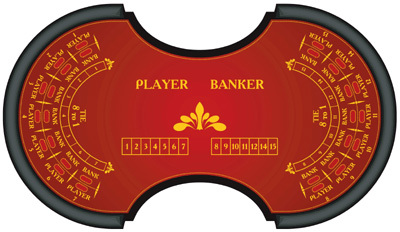 The most popular version of the game is Baccarat Pairs (also known as Lucky Pairs). This is exactly the same as standard Baccarat, only differing in the fact that you’ll be able to place a side bet on the outcome of the cards. You’ll be able to bet either on the banker or on the player being dealt a pair, both being dealt a pair and a perfect pair (a pair of the same suit). You may also find small and big payouts in this version of the game. The small payout (1.5:1) will be paid if only four cards are dealt in total, the big payout (0:54:1) if more than four cards are dealt. 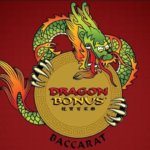 Dragon Bonus Baccarat offers a side bet where you’ll win based on how much your chosen hand wins by. For example, if your hand wins by 9 and is a non-natural hand you’ll gain odds of 30/1 on your side bet. Progressive Baccarat Games offer the chance to buy into an optional side bet, with big bonuses on offer when particular ties are dealt. For example, when both the banker and the player are dealt Ace Eight of the same suit, you’ll win a large prize fund. In-running Baccarat offers the options of making bets at each stage of the game. For example, you’ll bet before the cards are dealt as normal, but you’ll also be able to bet after the banker and the player have been dealt one card, and so on throughout the hand, with the odds changing at each step. When playing live dealer Baccarat online the stakes will be set by individual casinos. You’ll also find these casinos offering many bonuses to players, the biggest bonuses on offer for players signing up for the first time. These bonuses will be subject to a play-through requirement before the bonus will be yours to withdraw. Keep in mind: The requirement varies from casino to casino.